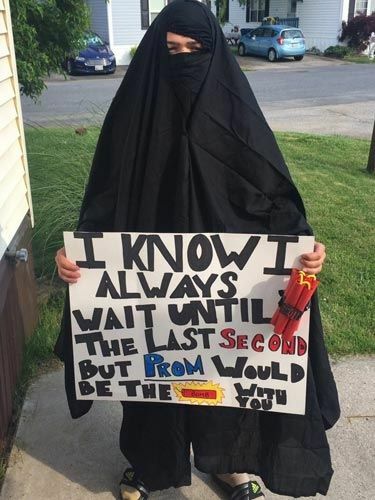 Black Time Travel | Distasteful Prom Proposal Has Black People Pissed Off Again! SMH. We can’t help but to ask ourselves what year it is and what country we live in? Unfortunately, in 2017 we still have ignorant azz white folks making ignorant azz racist comments and things recently got heated after a photo went completely viral of a prom proposal gone wrong. According to a story from Yahoo Style, the high school students in the image attend Monarch High School, which is located in Coconut Creek, Florida. The publication also states that the school’s principal has become aware of the image that has the internet pissed off, however, news has not been made clear as to what disciplinary actions will be taken against any of the students that were allegedly involved. 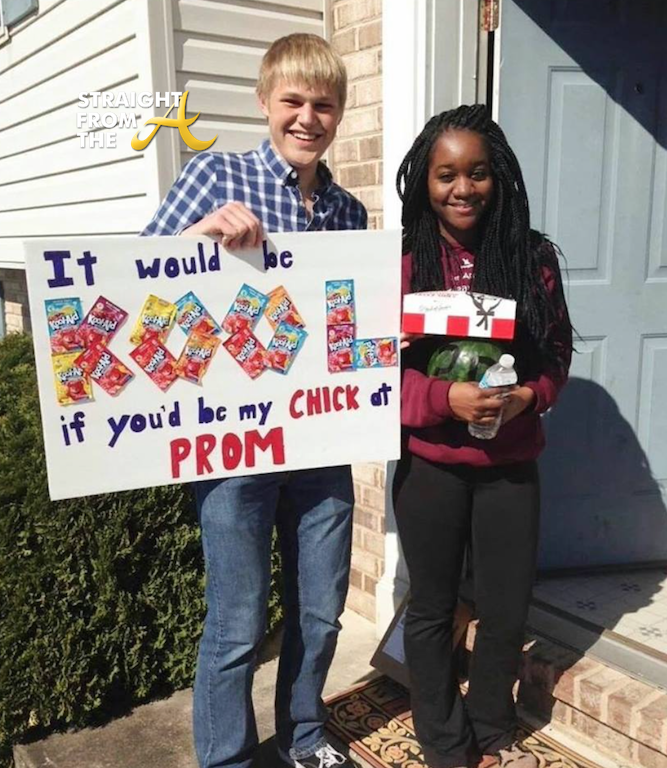 The tweet took social media by storm as many took it upon themselves to express their disapproval of the prom proposal. However, these Florida teens were only of several others who’d gone as far as doing the exact same thing. Apparently this is nothing new and has been going on for some time now. So, what are your thoughts on these racist jokes that are being played on the part of the black community? And why do you think so many African Americans don’t mind being the punchline?